Find out why customers are threatening to boycott Zara | HELLO! Some fashion fans have called for a boycott of the high street store Zara after they have been accused of copying designs from a number of artists. 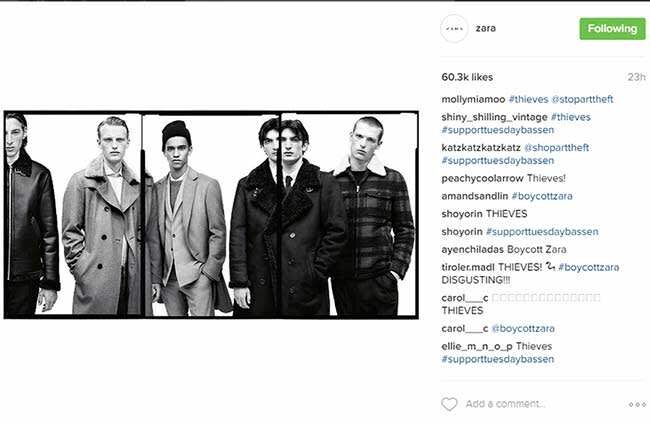 Many have taken to writing the hashtag #BoycottZara over the retailer's Instagram posts following a social media campaign by a group of independent artists who say their work has been plagiarised. The trouble started when artist Tuesday Bassen accused Zara of using some of her illustrations on their clothing. She shared photos of her own designs next to the clothing giant's replicas on Instagram, and fans were quick to notice the similarities between the two. 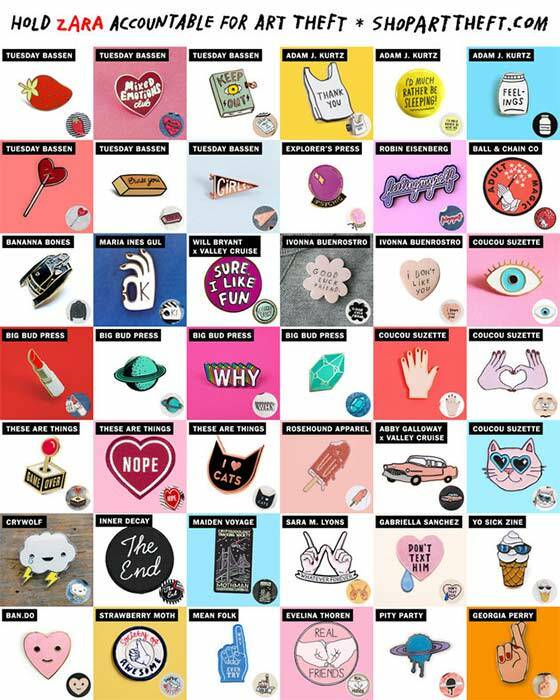 However Zara refused to admit responsibility, saying: "the lack of distinctiveness of your client's purported designs make it very hard to see how a significant part of the population anywhere in the world would associate the signs with Tuesday Bassen." But it was not just Tuesday who noticed that her work may have been copied. A number of other artists have come forward to share their own experiences, with designer Adam J Kurtz launching a website to show pictures of the designs Zara has allegedly replicated. In total he cited 42 examples on his website Shop Art Theft, prompting Tuesday to write on Instagram that the problem was "so much worse" than originally thought. Zara has yet to respond to the boycott but insists it is working with the individuals on a "case by case basis" to resolve any claims of copyright infringement.